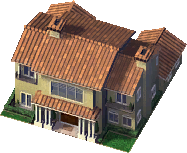 The Posh Villa is a High-Wealth Residential Building with three statistically Identical Variants that grow on All Residential zones. All variants grow on the same lots and use roughly the same base model using different exterior textures and mirroring to establish variety. 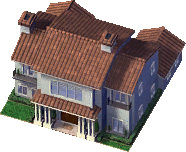 All three variants are statistically identical with each other and Modern Mansion, which can be thought of as an additional variant of this building. This page was last modified on 29 June 2014, at 15:23.